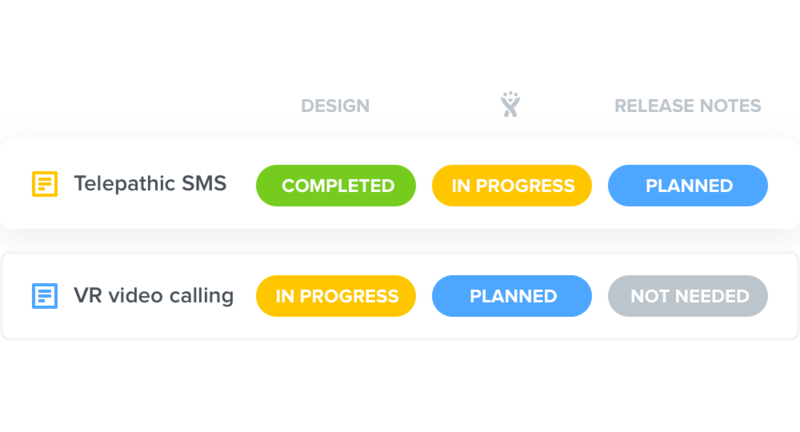 Product managers use productboard to harness inputs from colleagues across the organization and use them to make better product prioritization decisions. If colleagues across your organization think of product management as a black box – unsure of how any prioritization decisions get made – you’re missing out. Top-performing product leaders rally everyone in the org around a clear vision for the product. Everyone should understand where your product is headed and why. productboard can help. For every feature idea, see everyone who’s ever requested it, what they said, and how important it is to them. 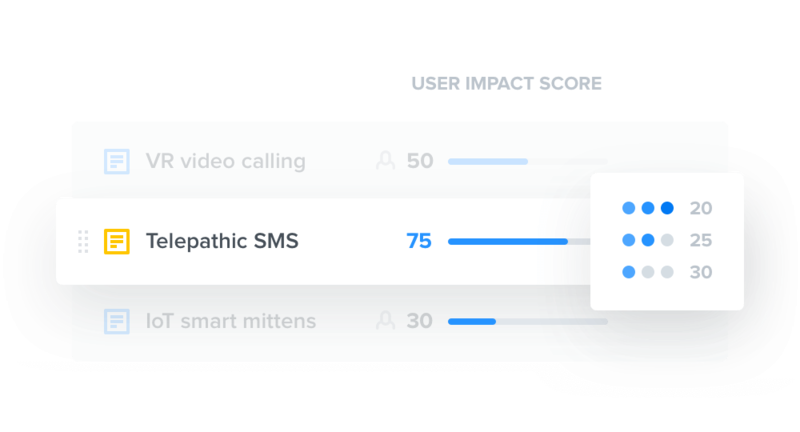 Use auto-calculated scores to determine how well each feature would address user needs based on actual user feedback. 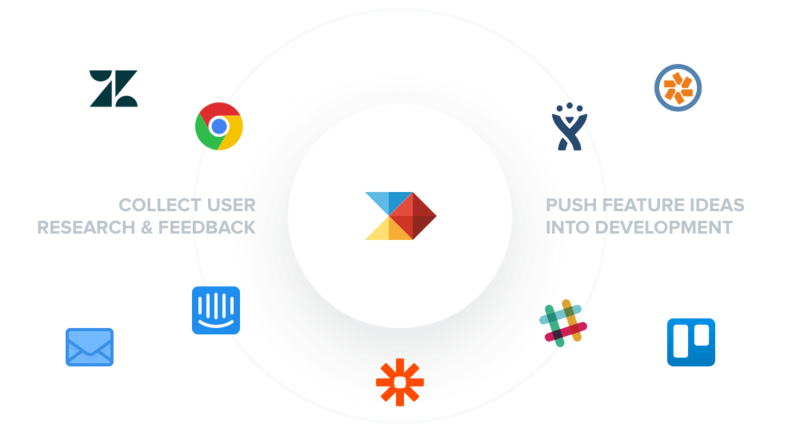 With productboard’s Portal you can share what’s planned as well as what features you’ve recently launched. 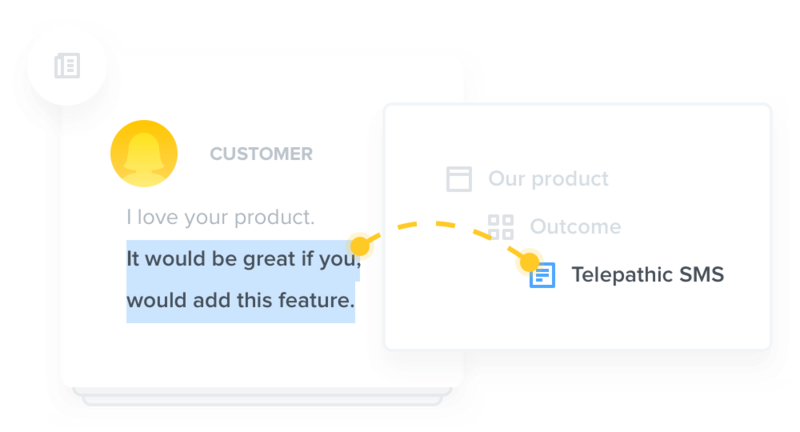 Keep users informed about all the functionality you’ve recently shipped and collect feedback for continuing to iterate on your creations.